Our final wedding cake of this busy weekend was for Lucy and John who were married at The Lawn, Rochford. 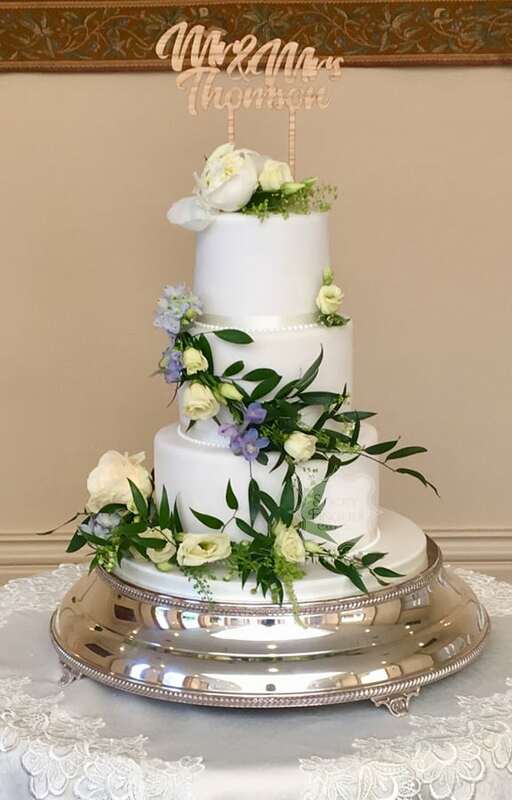 The happy couple chose to have a more traditional iced wedding cake, just very plain which was decorated with fresh flower garlands supplied by their florist. I thought it looked beautiful and matched their wedding beautifully. Wishing you massive congratulations and a long and happy life together!